Very large, established company operating nationwide with outstanding Florida locations that we endorse. 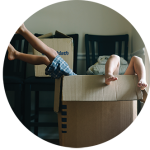 Moving your life requires much more than just the physical demands of lifting and hauling – you need someone on your side who can anticipate your needs and put your worries to rest before the first box is even packed. 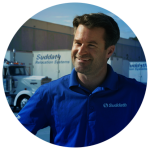 Suddath® provides real value: the experience, service, flexibility and credibility families need to get where they’re going and the confidence that everything is being expertly handled along the way. Our Residential Moving business unit is proud to relocate more than 50,000 families annually both domestically and internationally. Our trained professionals take moving personally, whether you’re looking for local, long-distance or international movers. We always want our customers to feel confident that the people moving their belongings are the best at what they do. Therefore, our entire business is committed to personal attention and care. This is evident in the training and qualifications of our movers and move coordinators. In 2016 Suddath was presented with the highly-coveted Moving & Storage Agent of the Year Service Excellence Award from the American Moving & Storage Association (AMSA). Using our fully owned and operated locations and the United agent network, Suddath moves more than 50,000 families around the world each year.